Folks who dare to walk deeper into Plaza Mont Kiara & scour the basement at the back of this complex will be rewarded with meals at a couple of no-frills, pork-loving Asian eateries: Thai specialist Bowl & Thai, alongside Korean outlet Lemon Terrace. First up, Bowl & Thai, which serves simple fare at satisfactory prices. 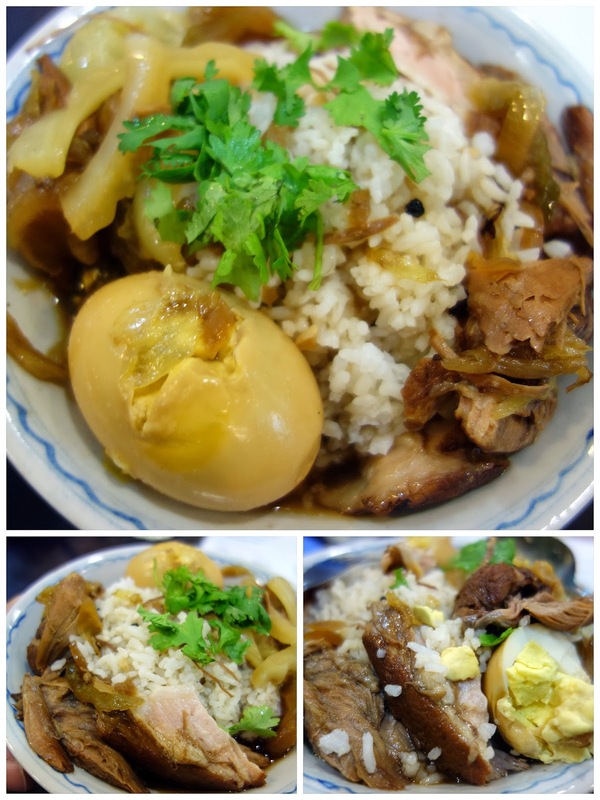 Tender, meaty stewed pork with egg & rice (RM9). Soul food, comfort food. 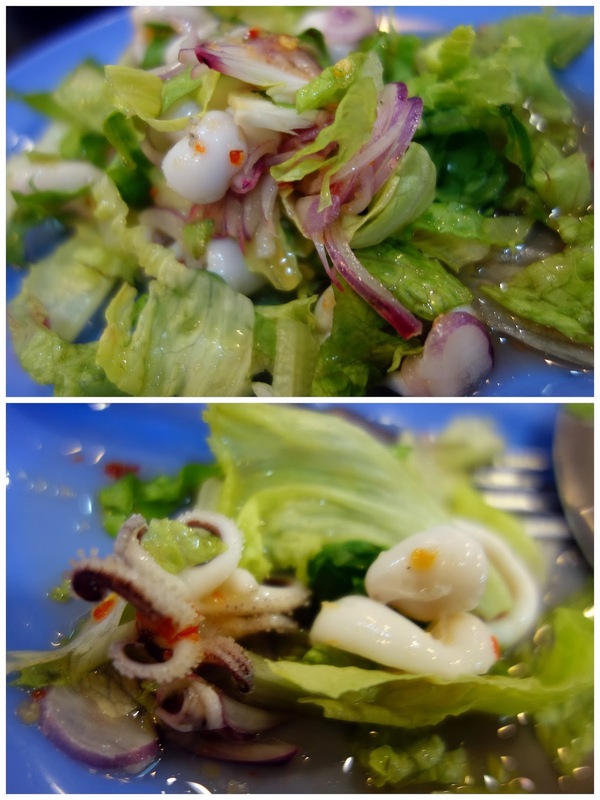 Kerabu sotong (RM7), piquant enough to please. Other offerings include mango salads, tom yum goong & pineapple fried rice. Also possibly worth inspecting here: the Korean-run Lemon Terrace. 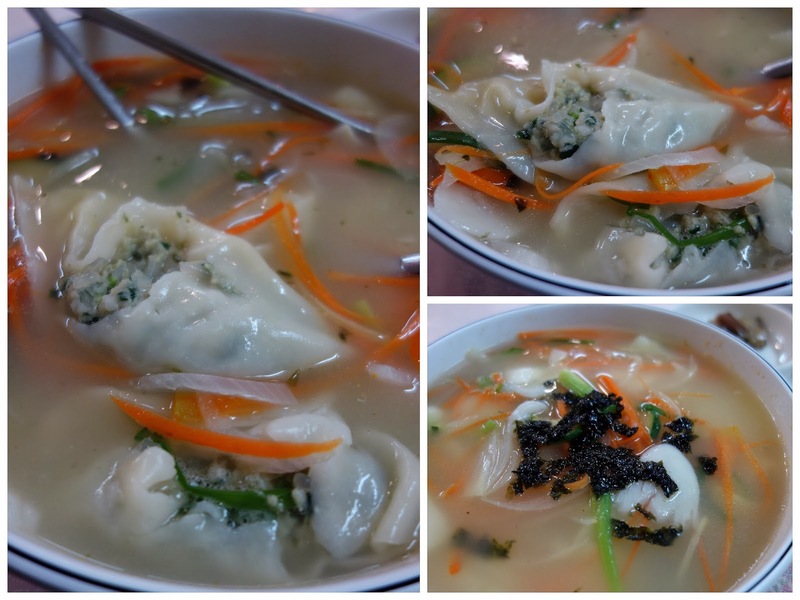 Lemon Terrace's interpretation of 'manduguk' (RM15), reasonably juicy pork dumplings in a savoury, steaming-hot broth. The serving comes with three 'banchan' side dishes. 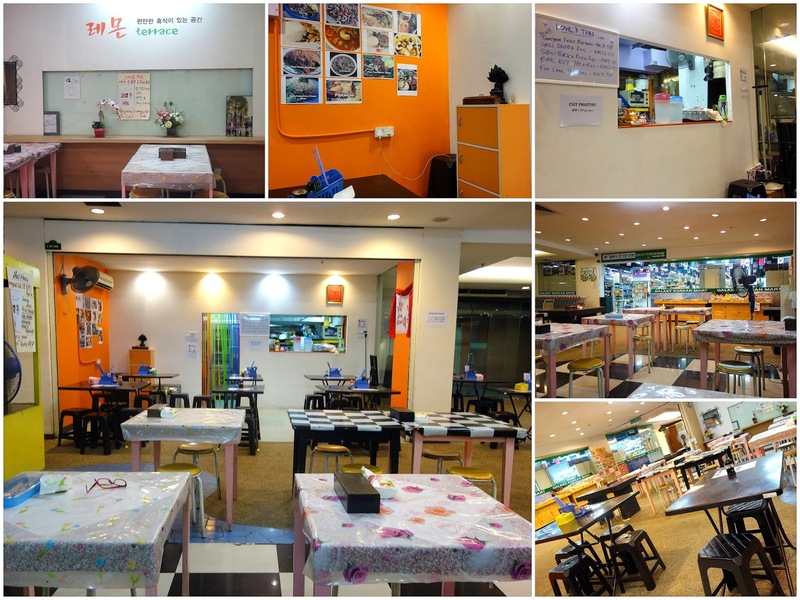 Lemon Terrace's menu is fairly wide, ranging from ginseng chicken soup (RM22) to 'sujebi' hand-torn noodle broth (RM13). I like banchan...... sometimes its the decider of whether I'd have an enjoyable Korean meal or not. That is certainly a sunny orange colour in the decor, Sean, and the food presentations are lovely. I am not a big fan of Korean food. But I like ginseng chicken soup, will always order that whenever I visit Korean restaurant, hehe. It's the Bowl Thai place for me, no second thoughts. Oooo...I'd want that stewed pork and egg plus rice, anytime! I've sometimes passed these shops but never been tempted to stop before. The Thai place looks good for a quick lunch. I never knew there is a Thai restaurant within walking distance from me. Thanks for the post! Shall try it out one day. Sean, you should also try the Bowl & Thai's Thai Minced Pork with basil & the Vietnamese roll which is sold on every thursday at the Plaza MK's flee market. Both my favourite type of food, Thai & Korean!